Maybe you’re knowledgeable about a particular subject? Do you have valuable experience in, or insight into, a subject like animal/pet-care, astronomy, business, child-care, computers, cosmetics & make-up, education, design, education, farming, fitness, graphics, history, marketing, planning, retail, sales, sports, technology, travel, wedding planning …or any other subject where your in-depth knowledge could be of great benefit to others. You could use your free E-Book as a bonus, or thank you gift, for your customers, web site visitors or ezine subscribers. You could use the E-Book to remind readers about your business or products. You could even include advertising within your free E-Book. The other business benefits, because their readers/customers get something free. You benefit, because your E-Book presumably tells these new readers about your business. And best of all, our software includes a powerful Rebranding feature, which allows you to set up parts of your E-Book for easy customization. You could allow other businesses to insert their name, web site link, or change an affiliate ID – which gives them an extra incentive to pass on copies – helping promote your business or web site. The E-Books are self-contained programs all wrapped up in a single file: so it should be easy to deliver to your customers, say as a download from your web site. Delivering a downloadable file over the Internet can be extremely inexpensive. Check with your web site host for details, you may even already have everything that you need at no extra cost. We do not charge you any per-copy royalties for E-Books that you make or sell using our software. We do not place any restrictions on what types of e-commerce systems that you use. While we do make some suggestions about third party services for things like accepting credit cards (some may have costs associated), you are free to use something else if it suits you better. If you can create web pages – then you can create and publish E-Books. (and even if you can’t, modern word processors usually include a “Save As HTML” feature). Simply create a set HTML files containing the information you want to sell, and then run Activ E-Book Compiler – and you’ll have a self-contained Windows Program (“.EXE”) which users can download and run, to view your E-Book. You can even restrict access to parts of your E-Book with passwords, include links to relevant web sites, or sell advertising space in your E-Book. Anybody with Windows 95 or better, and Internet Explorer 4 or later, which is of course the vast majority of web surfers, can use your E-Books. The software includes an amazing range of features and advanced power features that allow you to easily create truly stunning E-Books. Download a trial version of the software for free. 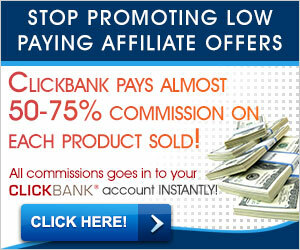 You do not need to pay a penny until you’re absolutely convinced that this software is for you!